I have been thinking bout getting a dressform for a while, but have not been doing too much sewing (clothing) to justify the purchase. But now, with this little project and another one in the works (later about that) I really needed it. Fast. I would have preferred Singer but Dritz seemed to be very similar, and it was available fast and with a good discount, so Dritz it was. It took some time to adjust it to my liking, I ran into some problems, and I still feel I have some unanswered questions. It’s not perfect but it’s good enough. First issue was the neck. As a reminder, I made the slopers to fit Burda size 38, so I wanted to adjust the form (let’s call her Greta from now on) to the same size. The neck out of the box is 34 cm and I needed 36 cm. The instruction say to adjust (see picture) at the knob marked A, and if you do measure at that position, it indeed it 36 cm (after adjusting). However, the neck measurement should be taken at B, right? Well, if you measure there, it is more than 36 cm. Actually, even if you leave the A position at 34 cm, and measure at B it is still more than 36 cm. So the neck is too big no matter what you do. And third… I could not get the bust point to be at 27 cm. No way. The bust point as is, on Greta, is at 25 cm. That’s almost an inch difference. 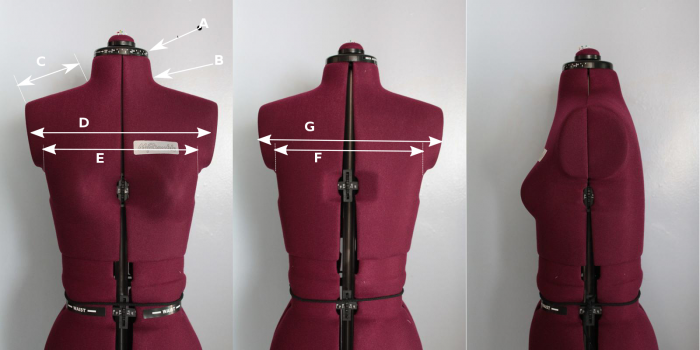 So according to Burda, the bust should either be bigger cup size or lower – to maintain the front length! I tried a few different combinations, but could not really get all dimensions to fit. With the bigger cup size – I had to make the back smaller to maintain 88 cm bust. Similar with lower bust. So I decided to leave Greta as is, and assume that the bust point will not matter so much. Especially as I am not really interested in making corsets – for anything looser, I would imagine the bust point is not that crucial (darts are never sewn as on the sloper, they are always shortened to make a smoother silhouette). 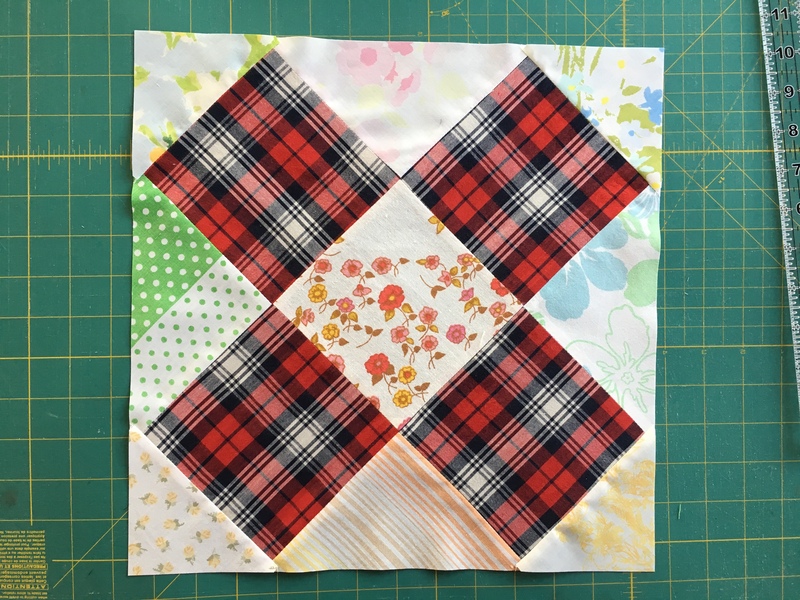 This entry was posted in patternmaking, sewing on June 9, 2011 by flekka.